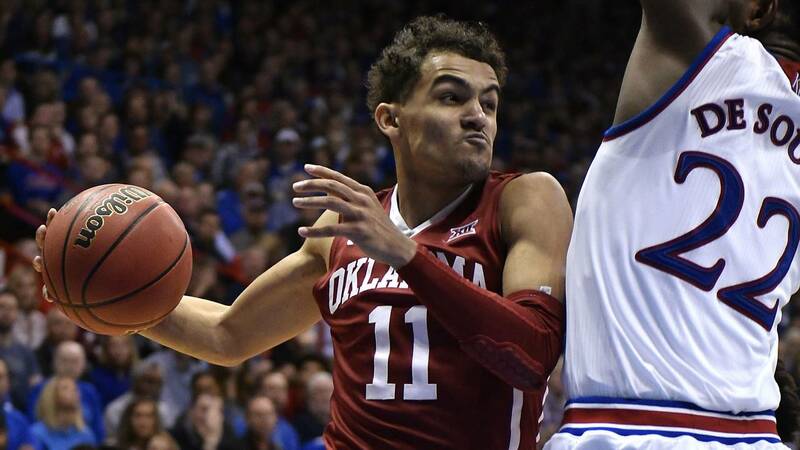 The freshman trio of Oklahoma's Trae Young, Arizona's Deandre Ayton and Duke's Marvin Bagley III made history in landing on the AP All-America Team. Their selection to the team announced Tuesday marks the first time three freshman made the team in its 70-year history, according to The Associated Press. The three "one-and-done" players are joined on the team by Villanova junior Jalen Brunson and Kansas senior Devonte' Graham, whose teams will face off Saturday in the Final Four. The All-America team had previously had two freshman on three different occasions: John Wall and Demarcus Cousins in 2010, Michael Beasley and Kevin Love in 2008, and Kevin Durant and Greg Oden in 2007. The team is selected by the same 65-member national media panel that picks the weekly AP Top 25. Young, who led the nation in scoring and assists, announced he was entering the NBA draft last Monday. Ayton followed suit the following day and ESPN’s Jeff Goodman reported Sunday night that several sources told him Bagley plans to do the same following Duke's Elite Eight exit.